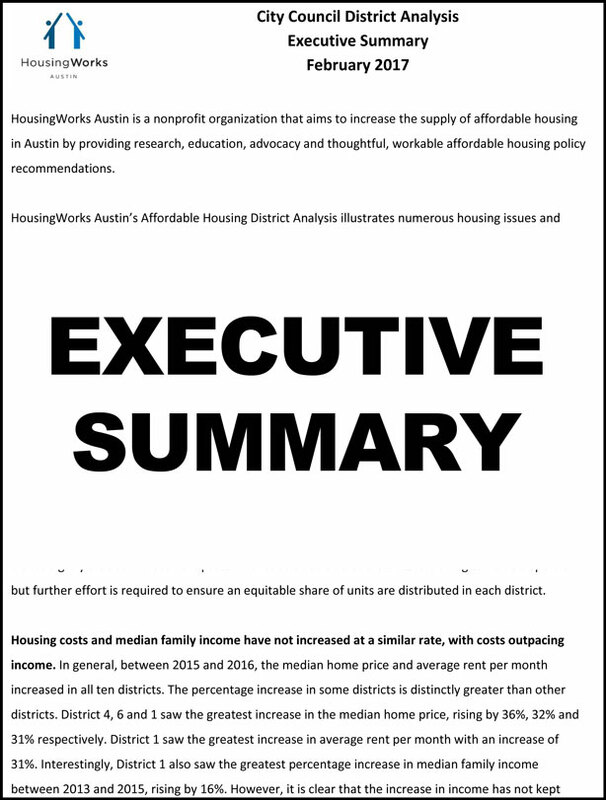 HousingWorks Austin’s Affordable Housing District Analysis illustrates numerous housing issues and challenges facing City of Austin residents. 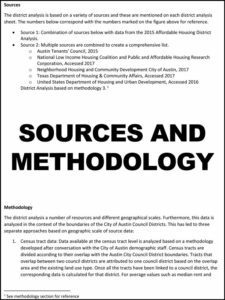 In its third iteration, the analysis brings together a variety of current data sources to provide an overview of household affordability for each of the city’s 10 council districts. The 2017 analysis shows that even though the city has been successful in adding additional subsidized units to its affordable housing stock, many challenges still need to be addressed. There are still large differences in affordability concerns across the 10 districts including income, rental prices, home prices, the amount of subsidized housing available, the number of homeless individuals and transit options. Click on our Executive Summary image to the right to view the major findings from the analyses. 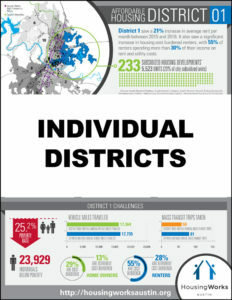 Click on the Individual Districts image to access a high quality version of the analysis from each of the 10 districts. 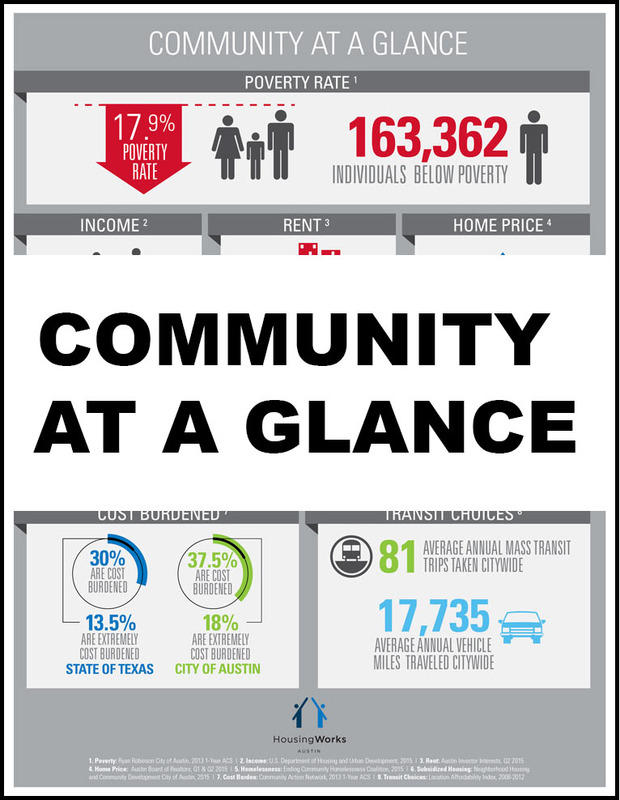 Click below to download a document that combines the Community at a Glance and all district analyses.